Jobmonster v4.0 is an advanced Job Board WordPress theme with a modern, clean, intuitive, and fully responsive design, that looks perfect on any size tablet or mobile screen. It is a result of years of development in Job Portal industry. The theme is completely covering needs of employers and candidates. We are bringing on the table absolutely new features like Clean coding, Exclusive job functions, Easy installation and customization, Front-end Job Submission and Edition for Admin Review, Job Posting Pricing Plan with WooCommerce Integrated and many more. 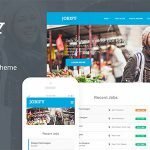 Crafted with understanding of the business, Jobmonster – Job board WordPress theme was born to be the bridge that connects employers and candidates fluidly. Appear gorgeous and aesthetic, the theme was tailor with dedicated care to every small elements, Jobmonster will be the ultimate choice for a professional job board website. – [ADD] Include Revolution Slider plugin. A new home with the Revolution Slider. – [ADD] A new Home design. – [ADD] Add Contact Us and About Us pages. – [ADD] New layout for single Company page. 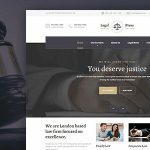 – [ADD] New layout for Company listing page. – [ADD] Add Map + Contact Form for Single Company page. – [ADD] New shortcodes: Counter, Job Categories. – [ADD] New shortcodes style: Noo Jobs, Noo Companies. – [ADD] Add more custom fields: DatePicker, Single Image, Image Gallery, File Upload and Embedded Video. – [ADD] Add Company Address, using Map to display. Using company address for the job location. – [ADD] Add Bulk Actions ( Approve, Reject and Delete ) to the employer’s Manage Application page. – [ADD] Add a new setting tabs for 3rd APIs. Move previous 3rd API settings from Facebook, Google, LinkedIn to the new tab. – [ADD] Add support for ReCaptcha. – [ADD] Add a new Visual Composer element for Job/Resume Package. – [ADD] Add option to show Resume count on Resume Categories widgets. – [UPDATE] Update Visual Composer to the latest version 5.0. – [UPDATE] Display bookmark job icon for none login users. Will require login/register after click. – [UPDATE] Allow employers changing account email. – [UPDATE] Allow using Revolution Slider as background for the Advanced Search shortcode. – [UPDATE] Update Google Font list. – [UPDATE] Update some basic style, most notionally is the button text color. – [FIX] Fix an issue with who can viewing Candidate contact. – [FIX] Fix some styling issues. – [FIX] Many minor bug fixed.